All players, grades 3rd-8th are required to purchase a uniform to be worn for games. We are excited to introduce our new uniforms in better quality, at a better price and they look amazing! 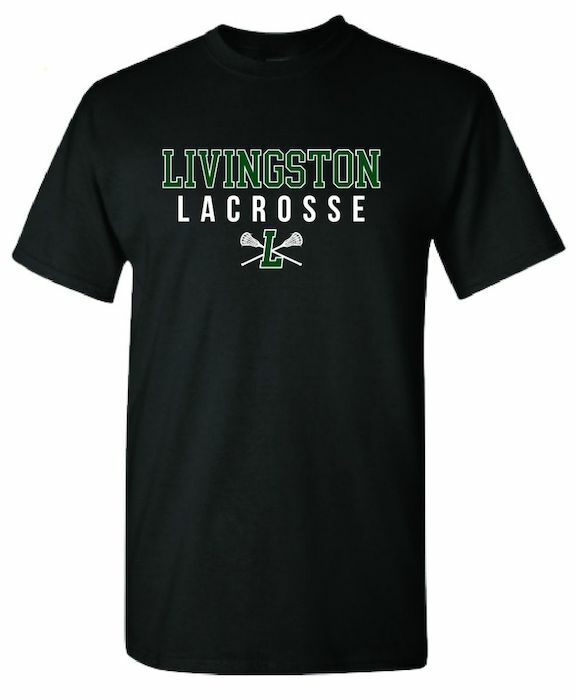 Please note that all orders must be placed by February 7th in order to have them in time for the first games. 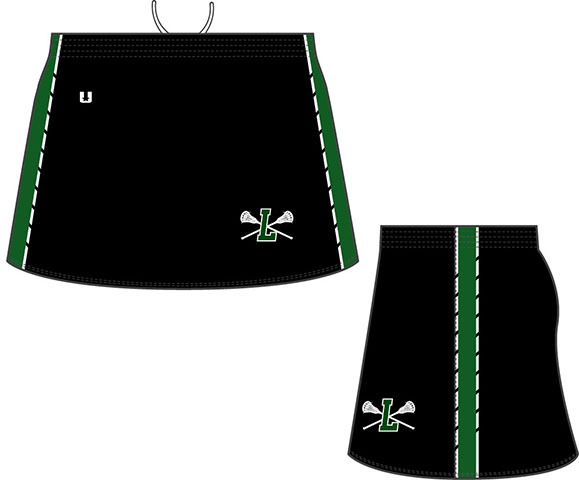 As in past years, the club will cover the cost of the pinnies. 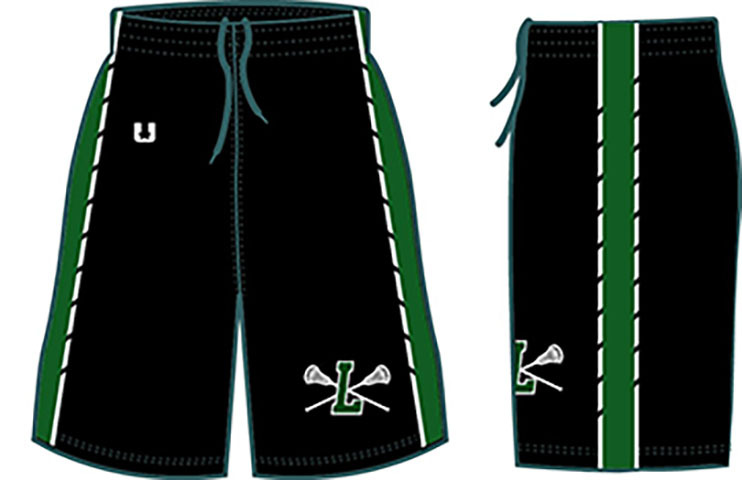 -Sizes will be available to try on, beginning Wednesday, January 30, at Universal Lacrosse in Summit. 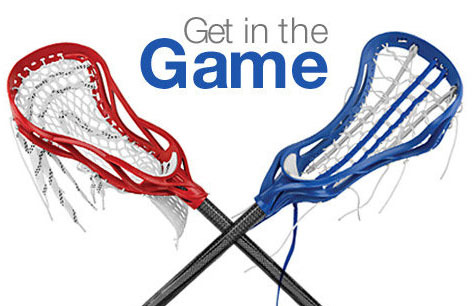 -Universal Lacrosse has provided us an exclusive in-store coupon only for Livingston Lacrosse players, offering 10% off the entire store and 5 other exclusive offers. Click here to Download the coupon. -All uniform orders are final, so please be sure that you're confident in your child's size before ordering. Remember to account for padding when choosing a size for boys. -Player numbers must be noted on the order form and will be honored to the best of our ability. We ask that you give 3 options as a new player. 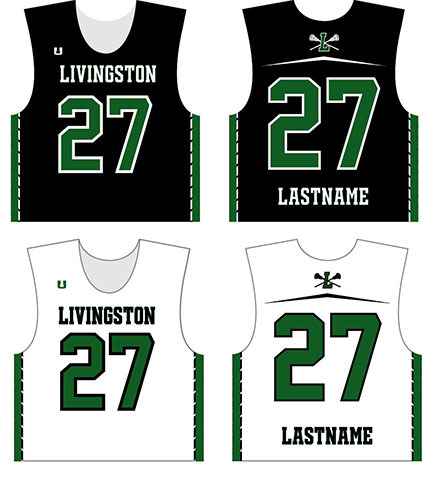 Returning players will receive the same number as last year unless noted. 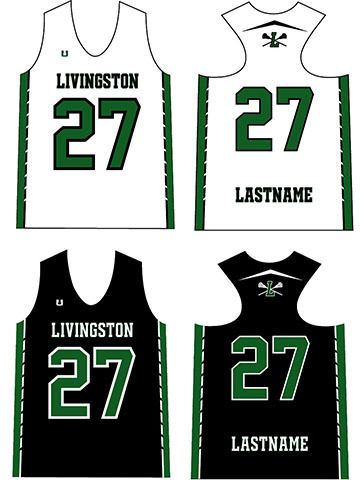 -Our younger players (K-2) will not need to order online, but will be provided with Livingston LAX t-shirts for the Kindergarteners and reversible Livingston LAX pinnies for the 1st and 2nd graders. -All uniforms will be distributed by the coaches or team parents prior to the first games. -Orders must be placed NO LATER THAN FEBRUARY 7. All orders must be placed online, even if you visit the store to try on. Orders placed later than February 7, may not arrive in time for the first game, and will be subject to a late fee.